Email information is followed by @css.edu unless otherwise noted. 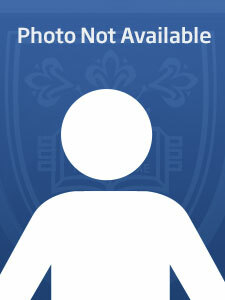 Connie Gunderson, PhD., MSW, LISW, is an associate professor at the College of St. Scholastica. Having completed her undergraduate studies at the College of St. Scholastica, she moved and worked in Germany until 2012. She completed her MSW at the Alice Salomon Hochschule in Berlin, and received her PhD at the University of Bremen. Dr. Gunderson has worked in the field of social work for over 30 years. As an instructor, her areas of scholarly expertise include human trafficking, gender studies, and international social work research. As a relational cultural therapist, her clinical foci has been on women, trauma and addiction and addressing the needs of families. As a researcher, she has completed studies of human trafficking in Germany and the European Union. She has published books and articles addressing social issues such as human trafficking, diversity, and gender. Dr. Gunderson has international teaching and advisory partnerships with diverse universities and colleges in Europe and the United States. 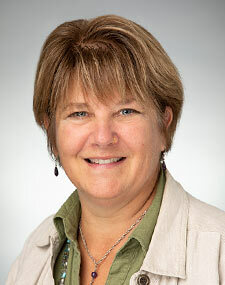 Mary Ann Marchel, Ph.D. is a professor in the Masters of Social Work Program. Dr. Marchel has served as a tenure-track and tenured faculty member in higher education for 20 years, most recently at the University of Minnesota Duluth. She currently teaches the research sequence in the Master of Social Work Program emphasizing micro and macro level approaches to inquiry. She received her Ph. D. in 1996 from the University of Minnesota Twin Cities and her MSW from the University of Minnesota Duluth in 2013. Prior to her doctoral work, Dr. Marchel taught for 10 years in rural and urban settings with children ages birth to eight years with disabilities. She holds Level IV endorsement as an infant and early childhood mental health specialist. 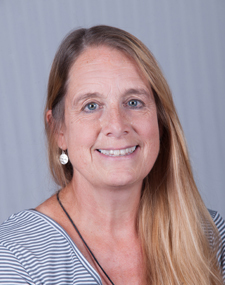 Her research interests include the exploration and application of attachment theory-based approaches to intervention in behavioral health, reflective supervision for social work professionals, and fostering children’s mental health in community based settings for young children and their families. Dr. Marchel completed the Infant and Early Childhood Mental Health Certificate Program (2007-09) offered through the University of Minnesota and is a member of the ZERO TO THREE Fellows Academy, currently serving as treasurer. She is certified in the Newborn Brazelton Observation System (NBOS); the Nursing Child Assessment Satellite Training (NCAST); the Circle of Security-Parenting DVD, and trained in the administration and scoring of the Adult Attachment Interview. In addition, Dr. Marchel is a certified Infant Massage Instructor. She is passionate about global service learning and currently is working with Roving Care Providers (birth to three providers) on the island of Dominica in the Eastern Caribbean. She currently serves as a reflective supervision facilitator with home visiting public health nurses and provides community-based children's mental health consultation to programs serving infants, toddlers, and their families. Carin Mizera has been at CSS since September 2015 in the Masters of Social Work Department. She teaches directpractice and filed courses, as well as an elective in the treatment of trauma, which has been her passion for over 20 years.She also practices and teaches mindfulness techniques, and has a great interest in spirituality practices in treatment. She has a small private psychotherapy practice in Duluth. Dr Mizera is presently serving as the MSW Program Director. She is an avid hiker in all seasons. Leah Prussia is a self-described “tree hugging dirt worshiper.” She has worked with diverse populations throughout her years as a clinician to assist each person find and actualize their definition of health and wellness. Professor Prussia uniquely blends teachings from Nature, Peter Levine’s Somatic Experience work, Relational Cultural Theory, and Cognitive-Behavioral approaches to address the biopsychosocial and spiritual aspects of individuals. Her background includes extensive knowledge and practice in mental health services, substance abuse, trauma, program administration, and grass roots advocacy. Due to micro, mezzo, and macro practice experience, Professor Prussia teaches the following courses for the CSS MSW Program: Assessment/Differential Diagnosis, Evidence Based Intervention/Treatment, Preparation for Field II, Field II, Foundations of Social Justice, Advanced Policy and Community Practice, Advanced Practice with Groups, and Advanced Practice: Environmental Social Work. Her education includes a Bachelor's degree in Psychology from Moorhead State University, a Master's degree in Social Work from the University of North Dakota, and she is currently pursuing a Doctorate in Social Work from St. Catherine University – University of St. Thomas. Leah is a Licensed Independent Clinical Social Worker in the State of Minnesota and sole proprietor of Natural Connections LLC. Children, families, mental health, and public policy are areas of interest within my practice of social work. I have conducted Participatory Action Research examining Medicare’s quality standards for transitioning adolescents with mental illness into adult systems of healthcare and am a certified supervisor for the Minnesota Board of Social Work and Minnesota Board of Behavioral Health and Therapy. I have a BA in social work from Bethel University (1994), MSW from the University of Minnesota - Duluth (2001) and a DSW from Capella University (2013). I have been a full time faculty member with The College of St. Scholastica Social Work Department since 2014. 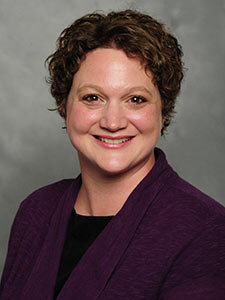 Paula Tracey is an Assistant Professor and the Field Director for the Masters of Social Work Program. 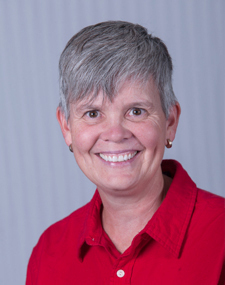 Dr. Tracey has served as a faculty member since the program's inception in 2013. She currently teaches field seminar courses and has designed and taught several specialized elective and topics courses. Such topic include supervision, military social work, Integrated Behavioral Health and social justice in international settings, such as the US Virgin Islands. She received her Ed.D in Teaching and Learning from the University of Minnesota Duluth in 2018 and her MSW from San Diego State University in 2002. Dr. Tracey served as a clinician in the Duluth and Superior region primarily working with youth and families prior to her appointment with the MSW program. She also has worked in child welfare and supervised programs for adult mental health in rural and metro regions of Southern California. 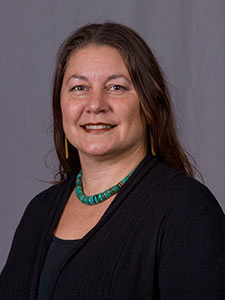 Her research interests include competency-based supervision, licensure standards for clinical social work practice and actualizing Integrated Behavioral Health in rural settings. Dr. Tracey also serves as the Placement Director for the ROBUST Specialization program, which trains student in Integrated Behavioral Health. She has served as a Minnesota NASW Board member for 3 years and is the representative for Lake Superior regional members. Ensuring teaching and learning is grounded in relevant content is an important aspect of her work for field and the overall program.